Great floorplan, which includes 2 master suites located in the Las Palmas Condominium Community in Mission Viejo. This private and desirable single level home features beautiful laminate flooring, 5-inch baseboards, neutral paint, upgraded baths, newer fixtures, enclosed patio and central air. The kitchen is complete with white cabinetry, Quartz counter tops, stainless steel appliances, recessed lighting, pantry and laundry closet for the stackable washer & dryer. You have one assigned parking space along with one carport parking space. 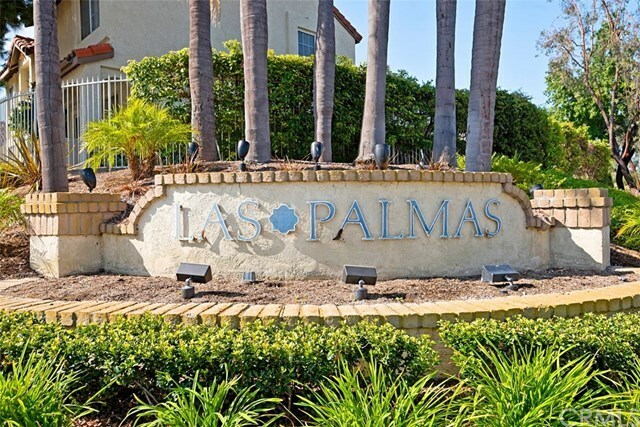 The Las Palmas Community Amenities include Two Pools, Two Spas and a Clubhouse. You also have access to Lake Mission Viejo and all their wonderful amenities. Close to Schools, Parks, Shopping, Dining and Freeways. FHA and VA Approved and there is No Mello Roos Taxes.